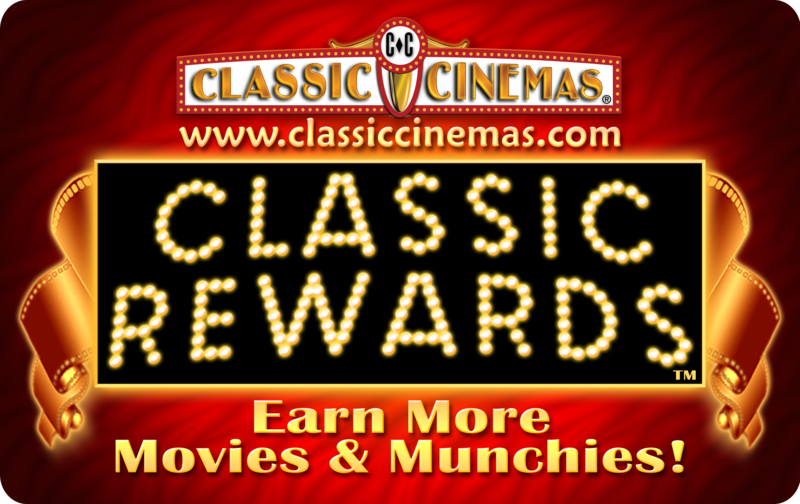 Classic Rewards is a FREE rewards program where you can earn points by purchasing tickets and concessions. Points then can be used to get FREE concessions and movie tickets without restrictions. As an added bonus, members will receive special offers, coupons, discounts and weekly schedules of movies with showtimes for their favorite Classic Cinemas Theatre(s). Each Classic Rewards account requires its own unique email address. For terms and conditions, click here. To ensure delivery of rewards updates, coupon information and advance movie schedules, please make sure to add newsletters@movie-previews.com to your address book and/or safe sender list. Our Privacy Guarantee: Your subscriber information is confidential and will not be shared with or sold to any other organization. 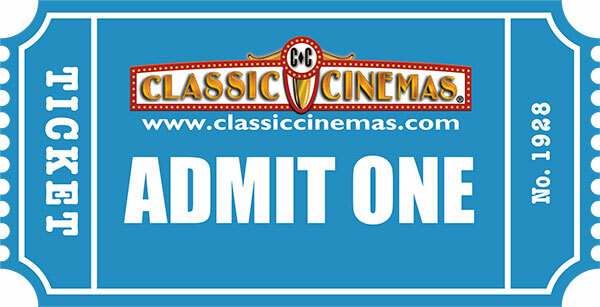 Your email address will be used only by Classic Cinemas upcoming film information, special events, and rewards.